There’s plently of times in life where we might have some questions but none can compare to the when we are pregnant. That is particularly true if its your first time being pregnant. You go through so many changes and you might be nervous and not know what to expect. After all, we have the baby and all is well but getting there can be a stressful journey. 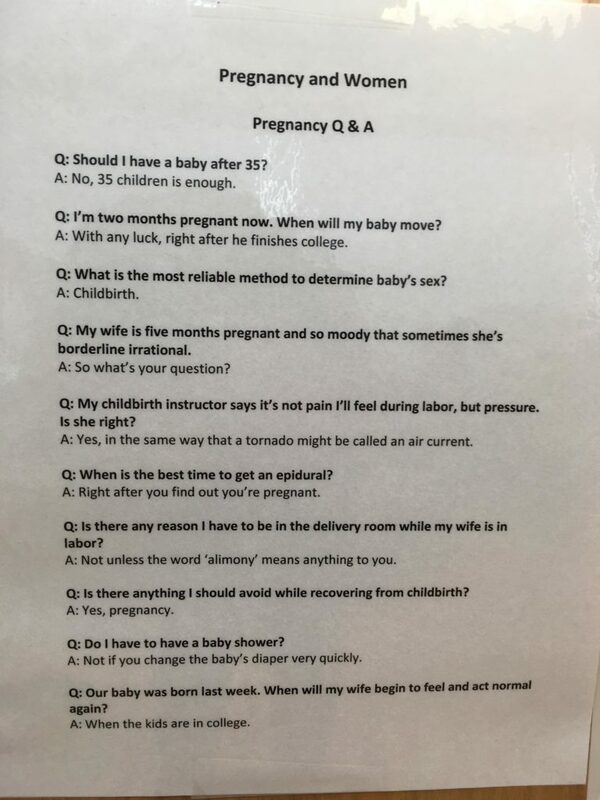 That is what makes this question and answer sign at the OBGYN is so perfect. Obviously, they are the one who is going to field a lot of the questions from pregnant mothers and, as you could imagine, answering the same questions over and over again can be exhausting. That is why she decided to put together this FAQ sign. It goes over some of the most frequently asked questions about being pregnant and giving birth, saving them from asking. When you look through these questions and answers, you can’t help but have a smile on your face. This has gone viral. It doesn’t just answer our questions, it’s funny at the same time.